Eleven years ago today, on June 13th 2005, the King of Pop Michael Jackson was acquitted of molestation allegations in a trial that took an insurmountable toll on his life. Although this day is not one we celebrate, it is one we remember each year for the fact that Michael was finally vindicated for the heinous allegations brought against him. 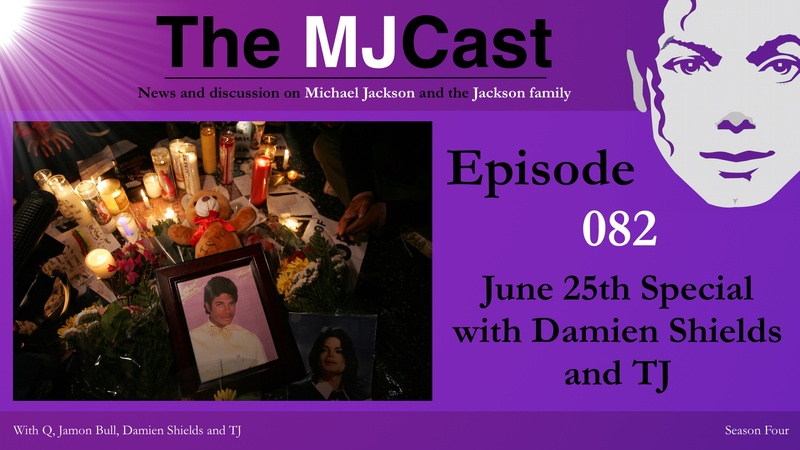 On this special episode, The MJCast’s Legal Correspondent Charles Thomson along with regular hosts Jamon Bull and Q interview Scott Ross, a somewhat overlooked figure of the trial, but one whose work lead attorney Tom Mesereau says was crucial to the defence team’s success. 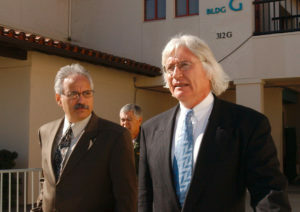 Scott Ross has been Tom Mesereau’s go-to private investigator ever since they met in 2002 on the Robert Blake murder case. Mesereau describes him as the best investigator he has ever worked with. Scott has worked on notorious cases including the McMarten Pre-school molestation trial and the Scott Peterson murder case, as well as collaborating with former Michael Jackson attorney Mark Geragos on cases such Chris Brown’s assault on Rihanna and the Winona Ryder shoplifting trial. In 2011 he worked for the defence in Conrad Murray’s trial, where Murray was convicted of Michael Jackson’s homicide. 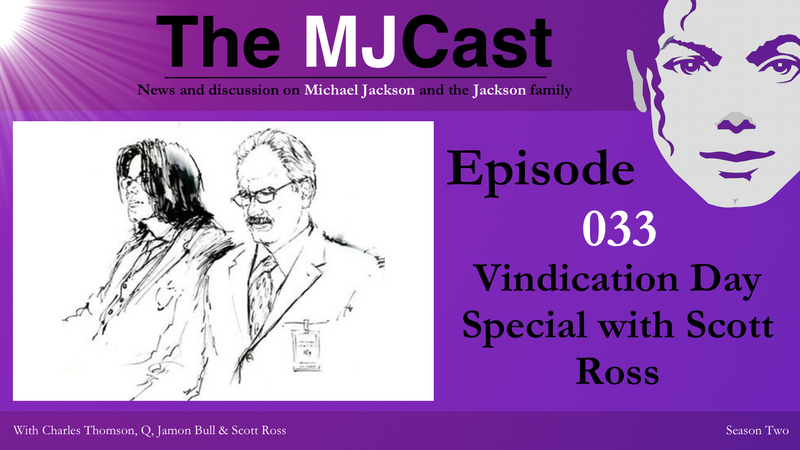 Topics of discussion include Ross’s early career, the Michael Jackson trial itself and his contributions to the defence, his thoughts around the Conrad Murray trial and Scott’s valued reflections on Michael Jackson the man. Note: The MJCast would like to apologise for the background noise in the first eight minutes of this episode. The MJCast – Episode 010: Vindication Day 10th Anniversary Special with Tom Mesereau. Listen to this special interview with Michael’s lead defence attorney, Tom Mesereau. The official MJJSource splash page video from the day of acquittal. This was Michael’s official website in the mid 2000’s.